Harvard University just received its biggest gift ever. Hedge fund manager and billionaire John Paulson donated $400 million to Harvard to support its engineering school, according to a university press release. Harvard will rename the school after Paulson, who is a 1980 graduate of the Ivy League school. The university's engineering school is already one of its fastest growing programs. Student enrollment in engineering classes is up 150% since 2007, and the school has beefed up the engineering faculty. "John Paulson's extraordinary gift will enable the growth and ensure the strength of engineering and applied sciences at Harvard for the benefit of generations to come," says Drew Gilpin Faust, Harvard's president. 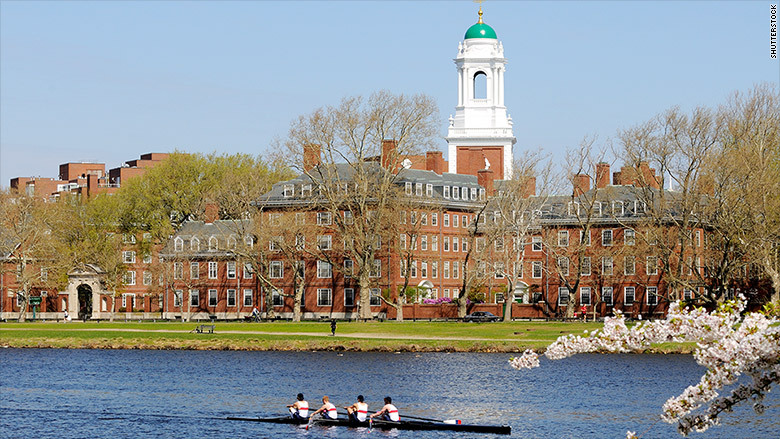 Harvard has the largest endowment of any university in the country, valued at over $36 billion. Paulson's donation only puts it further ahead of Yale University, the next biggest endowment with about $24 billion. Paulson, the founder of hedge fund Paulson & Co., is one of the most successful investment managers in the country, although his fund struggled last year. He has a personal net worth around $11 billion. Engineering is the "next frontier" at Harvard, Paulson said in a statement. "It is both a privilege and an honor to support this endeavor," Paulson said. His gift surpasses the second-largest gift given to Harvard, a $350 million endowment from Gerald Chan's family foundation.